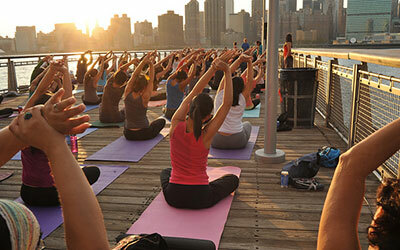 Each summer, we take to the pier for some yoga in the sun! 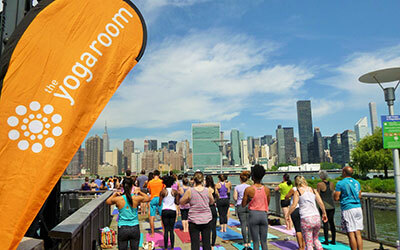 Gantry Plaza State Park in Long Island City provides an inspiring Manhattan backdrop, as we flow through our vinyasas with the breezes of the river, to the whim of The Yoga Room’s energizing instructors. On alternate weekends, we practice in Astoria Park on the deck above the Astoria Pool, with beautiful views of the park and the Triboro Bridge. This is a fun (and FREE!) 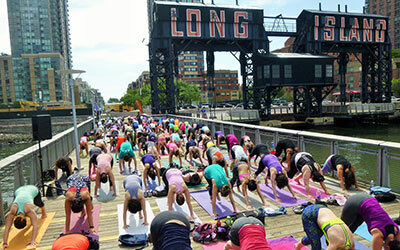 opportunity to bring your yoga practice to the outdoors and enjoy the beauty of the city. 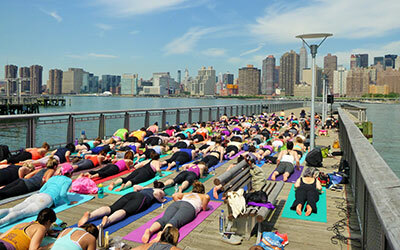 So grab your friends and bring a mat, comfortable clothing, and the desire to practice yoga in the open air. Beginners welcome!